You’ve been to the mountaintop, and you’ve seen the view from up there. Not only is it satisfying to scale the peak of whatever task you were working on and really accomplish something, but it’s also a nice vantage point to see if there are any possibilities for solutions you can apply down below. One such issue you might want to help with is the environment, which is crucial to our well-being. If you want to drive an economical mid-size car and protect the environment as you drive, then Toyota has just the car for you in the 2016 Toyota Camry Hybrid in Brampton ON. The Toyota Camry name is renowned for reliability, smooth handling and sporty features. 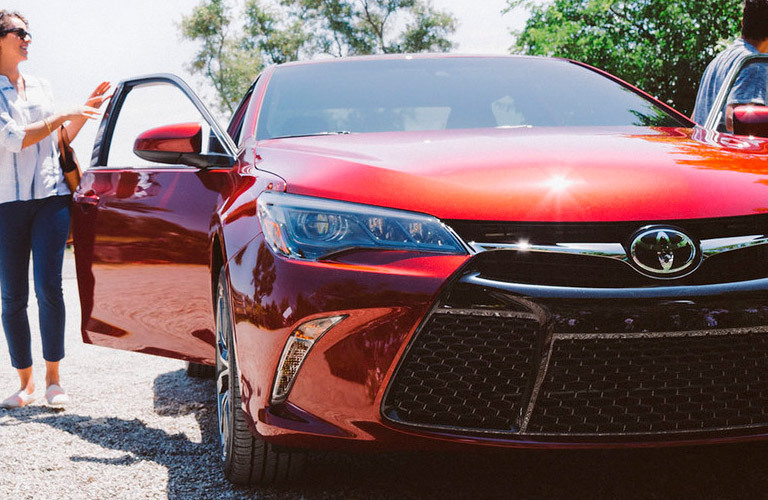 You may not know that the 2016 Toyota Camry Hybrid has all of that, plus a quietly-powerful gas/battery hybrid engine that has a power output of 200 horsepower, which tops most sedans on the road. Better yet, this engine reduces the harmful emissions your car gives off. You might think there’s a catch to all this, that you need to plug this car in at night like an electric razor, but the 2016 Toyota Camry Hybrid charges itself on the move. There’s no need to plug in when the car converts braking energy to power that it stores to its battery while you’re on the go. You probably expect nice fuel economy from an eco-friendly car, and in this case, you’d be right. The 2016 Toyota Camry Hybrid is top-notch in that regard, with 5.5 litres of gas used per 100 km in the city and 6.0 litres used on the highway, efficiency which is superior to most cars on the road. If you’ve come here looking for gadgets, the 2016 Camry Hybrid has those, too, including an in-console wireless charging system. You won’t need to jack your phone into a USB port to keep it charged, either; all you need to do is place it on the charging pad and the Camry takes care of the rest. 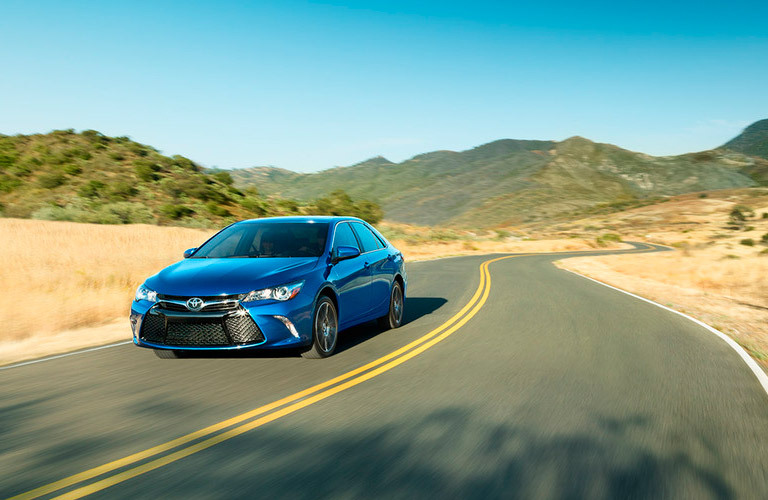 Other intuitive features are the 2016 Camry Hybrid’s regenerative brakes, which extend pad and rotor life. And these cars are built sturdy from the onset, as 99 percent of all Toyota hybrids sold since 2001 have never had their batteries replaced. Attrell Toyota is located at 110 Canam Crescent, Brampton, Ontario, L7A 1A9, and we have plenty of Toyota Camry and Toyota Camry Hybrid models, as well as others, in stock. We serve the greater Mississauga and Toronto area as well. Please contact us at 905-451-7235 or come visit us today to see our cars or to take one for a test drive.